The All Progressives Congress has said the Peoples Democratic Party is a damaged product and cannot be trusted with power by Nigerians for not apologising for its 16 years of misrule. 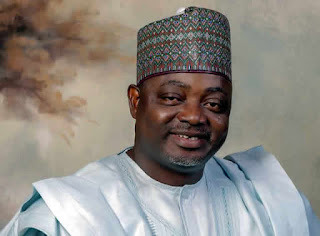 The ruling party also accused the PDP of allegedly churning out fake news, misinformation and using hate speech as its focal campaign strategies for the 2019 elections. The National Publicity Secretary of APC, Mallam Lanre Issa - Onilu, stated these in a press release he issued on Wednesday in Abuja while declaring supports for ongoing global media attention and efforts to check the proliferation of fake news. The party said fake news and other loathsome strategies must be checked, particularly as the country geared up for campaigns ahead of the 2019 elections. “The consequences of fake news are often dire as it inflames perceived divisions in our communities, fuels hate speech, leads to violence and distorts democratic processes, among others. “Disturbingly, the country’s main opposition – Peoples Democratic Party – and its discredited agents have continued to deploy the loathsome strategy of fake news, misinformation and distortion of facts as focal campaign strategies for the 2019 elections,” the party said . Describing PDP as a prodigal party, the APC said it was not surprised at the opposition party’s typical theatrics in an attempt to evade scrutiny for its 16 years of misgovernance. “It is instructive to the electorate that no lessons have been learnt by the prodigal party. It is indeed clear to the electorate that the PDP is not a party to either be trusted or taken seriously as it has missed out on the opportunity to apologise and show remorse for the cruelty it wrought on our country while in power. What we witness instead is its weekly disgraceful and embarrassing shadow chasing through fake news and spurious allegations.